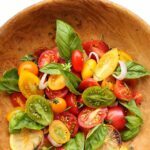 Chives and basil in this Heirloom Tomato Salad with Roasted Lemon and Garlic with added cilantro make this salad sing with summer flavors! While I was cutting up the shallots and tomatoes, I roasted some lemon and garlic and simply added them at the end. 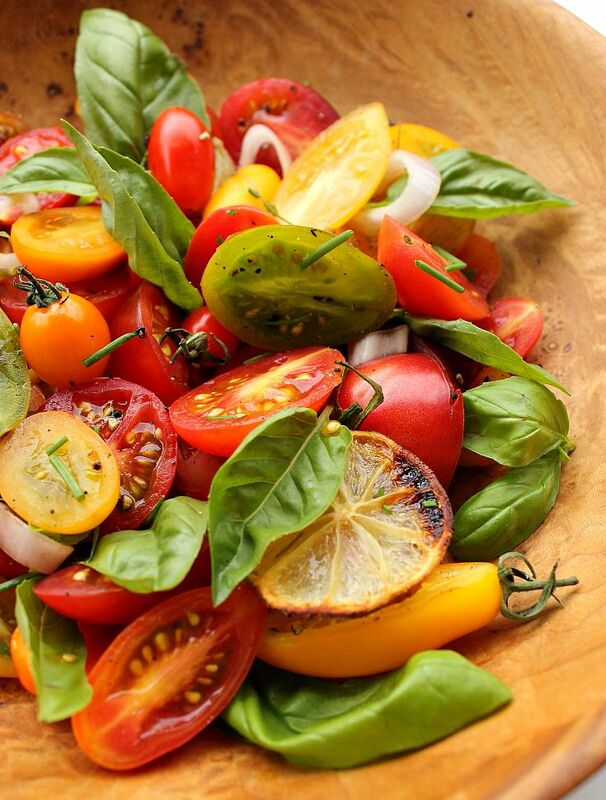 The salad dressing consists of just extra virgin olive oil, balsamic vinegar and yes, more pepper! I brushed them with a little olive oil and honey hoping that it would result in an interesting taste. Not so much! You know that limes are powerful. Well, roasting them makes them twice as powerful and…. inedible! I should have figured that out when I googled ‘roasted limes’ and there wasn’t a single entry. Live and learn, ha! It was an interesting experiment and that’s what cooking is all about! 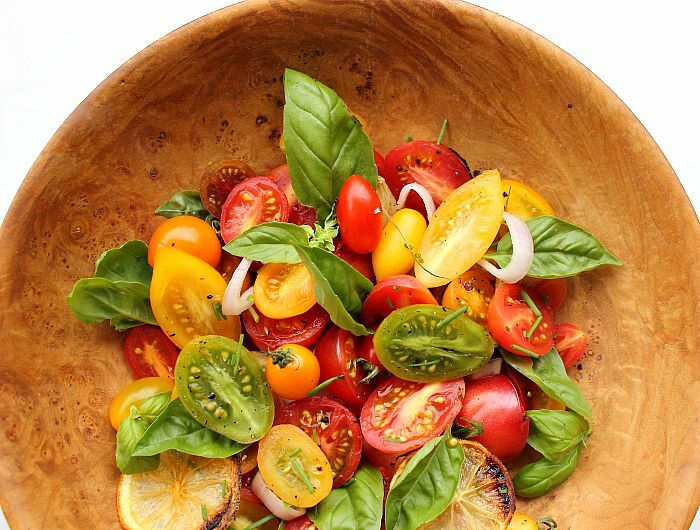 You can use any type of tomato you like in this dish and it’s a great way to enjoy the local produce right now. 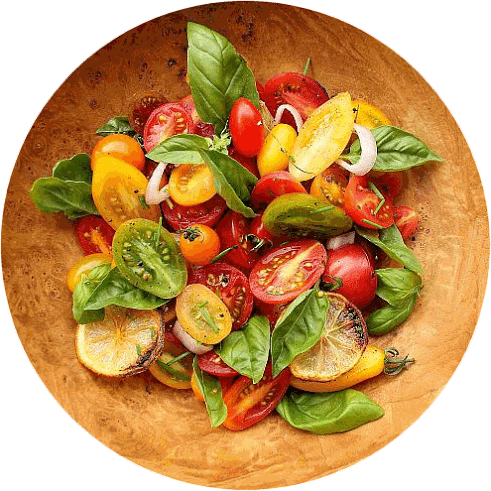 Chives and basil in this Heirloom Tomato Salad with Roasted Lemon and Garlic and some cilantro. They make this salad sing!